We want our kids to be free from germs, bacteria and other source of diseases. So, we spend countless hours cleaning our home, making it a safe shelter for them. But when they go outside, we are no longer confident of the protection that we can give. When your child leaves for school, aside from their school supplies and pack lunches, also put MAXI WIPES in their bags as their school cleaning cloths. It's portable and the cloth size of 38cm x 38cm is perfect for their little hands. They can use it almost everywhere, from their desk to the cafeteria and even to the bathroom. With just one swipe, you are confident that your child stays in a clean environment. MAXI WIPES are also very useful in age care and child care center facilities. Babies and elderlies don't have full control of their bladder so unavoidably there will be instances where urine will be spilled anywhere. They are also prone to vomit. 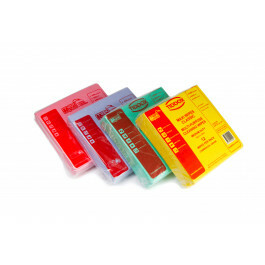 Cleaning urine and vomit has never been this easy with the use of these healthcare wash cloths. They are fast to absorb and can hold up to 8 times their own weight in liquid, so a perfect solution for these types of mishaps. Also, MAXI WIPES are very economical. Just squeeze, rinse and reuse, or disinfect, launder and reuse. With budgets tightening in aged care, schools and childcare, these economical absorbent sponges are the perfect solution. Furthermore, MAXI WIPES are available in 4 fantastic colours (Green, Red, Blue and Yellow). By colour coding the cloths, we help prevent the spread of germs. You can use the green ones specifically for food preparation and not use the same cloth to wipe off urine or vomit, hence eliminating the risk of cross-contamination. Different coloured cloths can be allocated to different tasks and different areas. So, if your childcare centre or aged care centre or school are not currently using MAXI WIPES, try them today - its never been easier or safer to save money - so make the switch from traditional wiping cloths to colour coded MAXI WIPES sponges! Other related products from TIDDOX 's range of healthcare cleaning cloths include the MAXI WIPES PREMIUM , the HEALTHCARE OMNIWIPES, and the HEALTHCARE SUPERMAX XL SPONGE CLOTH.